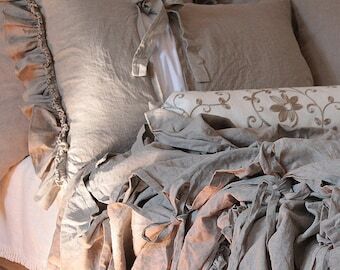 Diane is my own design of linen bedding. 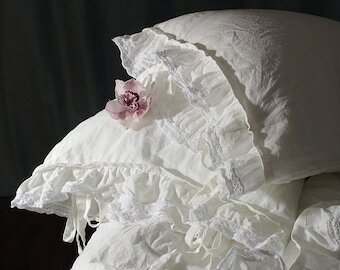 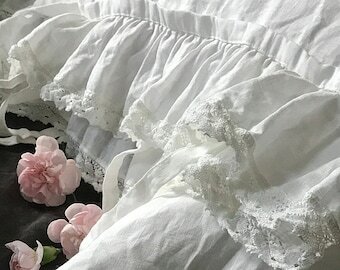 Linen duvet cover with ruffles and ties . 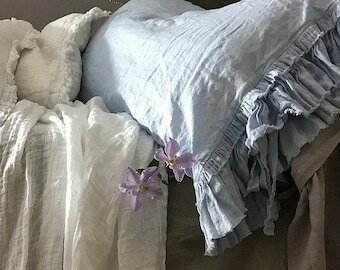 NATURAL LINEN BEDDING created for people love nature and luxury and comprising of the duvet cover, pillow cases and the bolster. 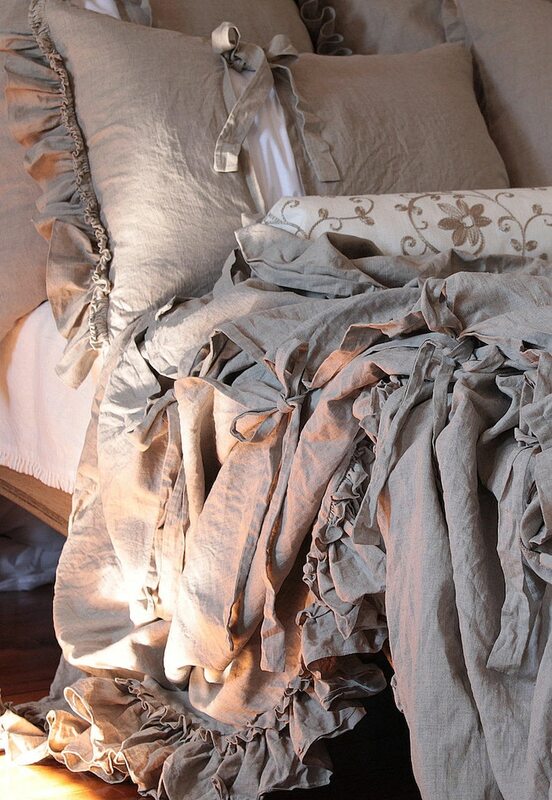 A linen duvet cover made from linen of exceptional quality that has been specially imported from Lithuania - Europe. 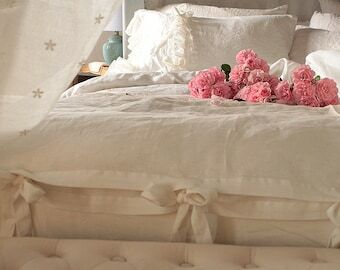 This fabric is light and velvety to the touch, and the duvet is finished with hand formed double ruffles and decorative fastening ties. 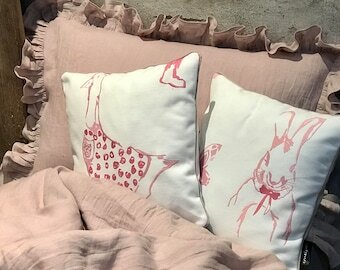 It will be perfect for sleeping on as well as for daily arrangement of your bedroom, and will also make a fabulous gift.